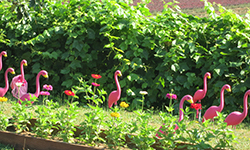 increase public awareness of healthy living through gardening. Whatever the priority need may be, if it can be addressed through gardening, Master Gardener volunteers are there to serve as part of the solution. 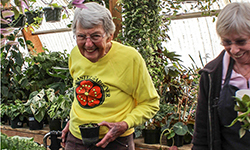 The Master Gardener program is open to anyone 18 or older, with an interest in gardening and a willingness to use their knowledge, experience and enthusiasm to make a positive impact on their local community. 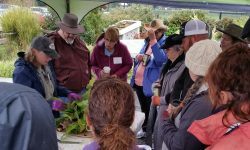 Master Gardeners provide educational outreach to the public at community events including the Clark County Fair, Home and Garden Idea Fair, local farmers markets, and other events and festivals. Events may have themes, including hands-on activities, or involve providing literature in response to garden and landscaping questions. 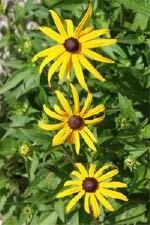 Master Gardeners develop and deliver talks to groups—private and public, large and small—on topics of their choosing, including vegetable gardening, beneficial bugs, fruit tree care, composting, and many more. Master Gardeners may already possess public speaking skills, or such skills may be developed through a training program each winter and spring. 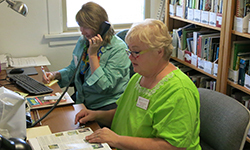 Master Gardeners work in pairs answering in-person, phone and email inquiries from the public on a variety of garden and landscape concerns. 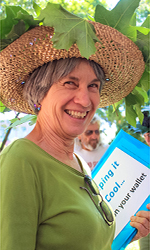 Responding to over 900 client inquiries each year, volunteers use computer skills, plant-problem diagnosis, and being comfortable with not already knowing the answer as they investigate, ask questions, and educate the public on sustainable landscape care. More About Our Answer Clinic including hours, location, how to submit a specimen, and information about soil testing. An article about the Answer Clinic. 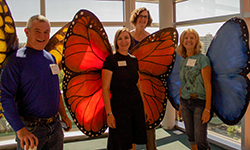 Master Gardeners deliver classroom lessons for area schools on topics such as: pollinators, worms, and seeds. 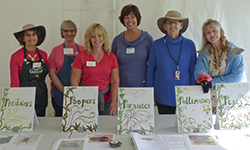 Master Gardeners support in-garden activities in area school gardens, facilitating garden experiences for students. Master Gardeners participate as mentors with the 4-H Restorative Community Service program at the 78th Street Heritage Farm where they support youth in growing food for donation to the local food bank. Master Gardeners provide educational programming at Far to Fork at the 78th Street Heritage Farm where they lead hands-on activities on a variety of horticultural topics. 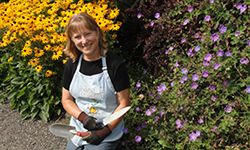 Master Gardeners write short educational articles, interviews and book reports, take photos, and edit The Garden News, a quarterly publication that goes out to over 1,000 subscribers. 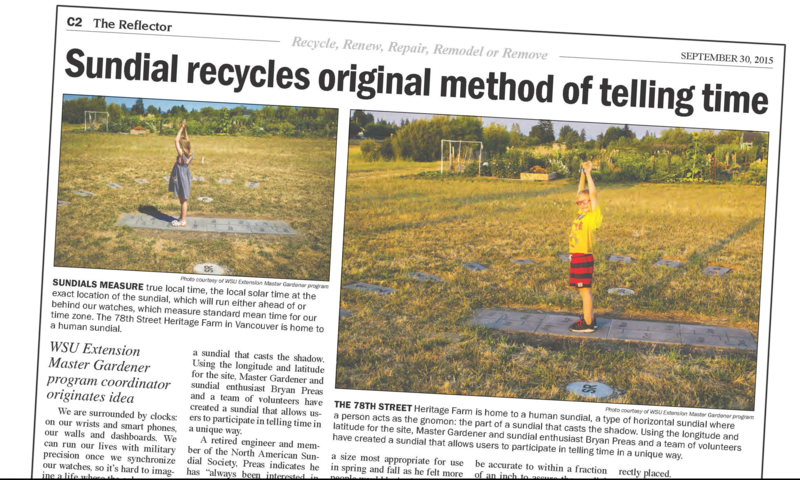 Master Gardeners write more lengthy articles on fascinating and important horticultural topics for publication by the local media. Master Gardeners plan and lead van tours for the public to nurseries, gardens, and growing operations where attendees lear about different horticultural practices and techniques. Master Gardeners raise plants for the Foundation’s annual plant sale, work the plant sale, and staff the plant holding area at the Home Garden Idea Fair. They also raise plants and install them in the Welcome to Washington sign on I-5 North. These projects support the mission of raising money to support the Master Gardener program and other horticultural projects in Clark County. 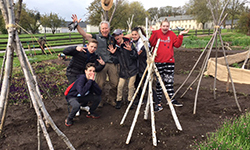 Master Gardeners propagate and provide care for plants in this historically accurate period garden located at the Fort Vancouver National Historic Reserve. Master Gardeners provide maintenance and educational outreach at this natural demonstration garden. Master Gardeners teach small groups of neighbors about pollinators. What kinds can be seen in our home gardens. What threatens them. What we can do to support them. 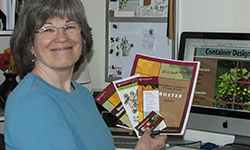 Many Master Gardeners like to use their skills behind the scenes assisting with marketing, graphic design, website maintenance. 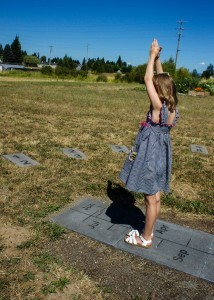 They may also aid the program by developing tools and protocols for use in outreach and education. Master Gardeners work on special projects. Inspiration can come from a variety of sources all aimed at educating the public.